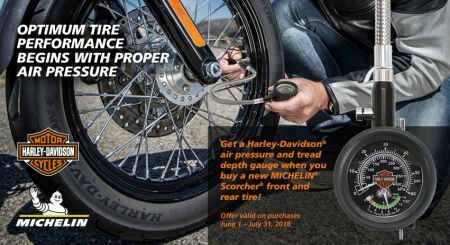 Get a Harley-Davidson® air pressure and tread depth gauge when you buy a new MICHELIN® Scorcher® front and rear tire! Offer valid on purchases June 1 - July 31, 2018. See Northwest Harley-Davidson® Service Department for details.